Every day at happy hour, midtown bar Overlook plays the “name game”. A different name is chosen at random each day (except Sunday). 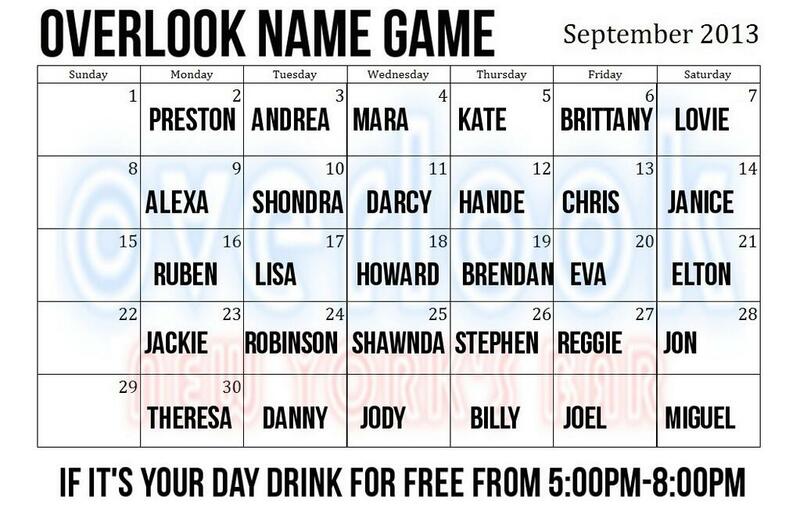 If your name is picked, you drink free from 5-8pm on your day. Tip well and bring friends.